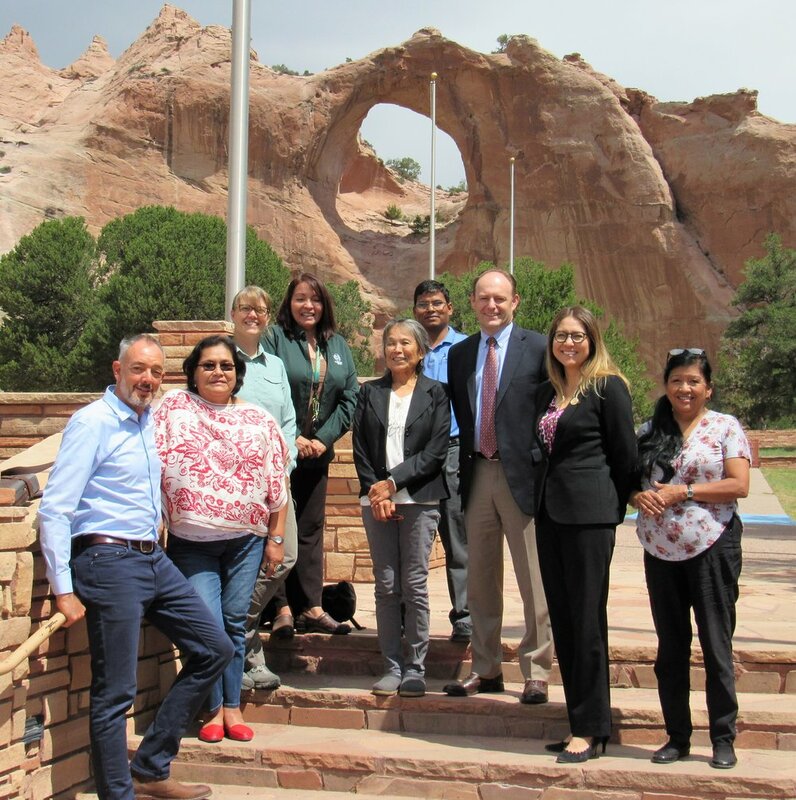 From left to right: Sean Hogan (USEPA), Priscilla Tom (USEPA), Freyja Knapp (USEPA), Trustee Watchman-Moore, Lilly Lane (NEPA), Binod Chaudhary (NEPA Superfund), Brent Moore (Montgomery & Andrews), Nina Chester (OPVP), and Diane Malone (NEPA Superfund). On August 8th & 9th, the Trustee called her first meeting of the Phase 2 RSE Trust & Agencies to order. They met for two days in Window Rock setting the course of this important phase of work. Cindy McLeod of Ecology & Environment, Inc., the Trustee’s environmental consultant, making a point to the group. (From L to R) Jill Grant (NEPA Legal Counsel), Binod Chaudhary (NEPA Superfund), Freyja Knapp (USEPA Region IX, Remedial Project Manager).